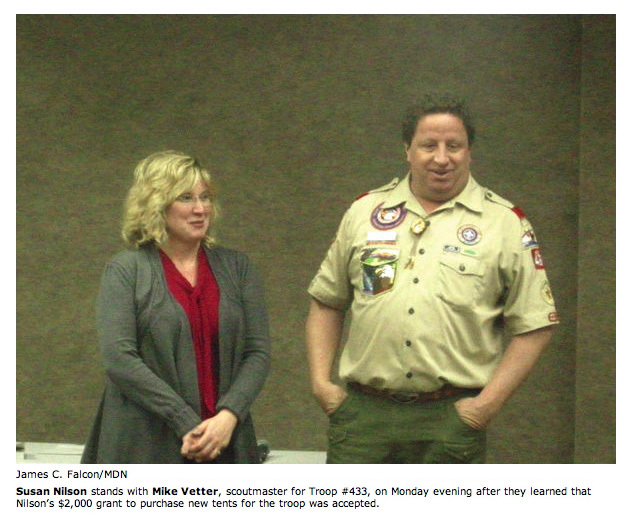 "My son's Boy Scout troop needs new tents for their campouts." 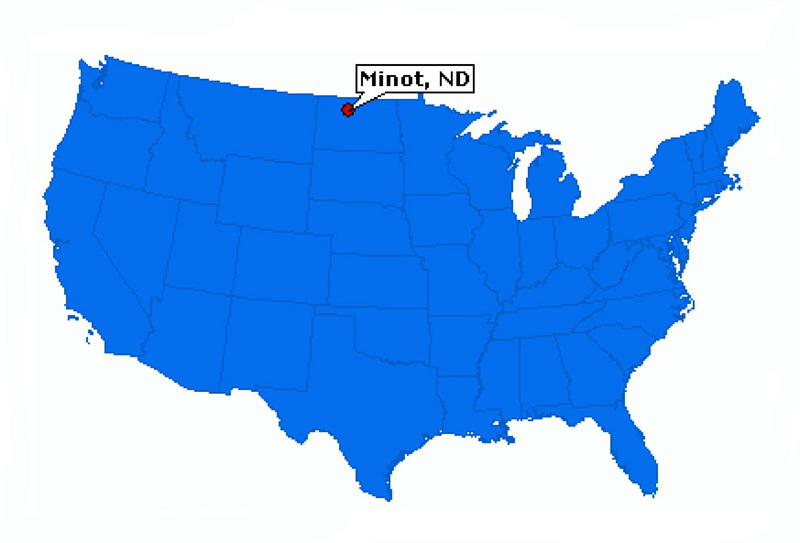 That’s all we needed to hear to make Susan Nilson from Minot, North Dakota, our newest hero. When her husband was deployed to Iraq 6 years ago, Susan had her son join the troop because his dad was going to be gone for 15 months and she felt he needed some men to help support him emotionally as well as guide him during this time. "The leaders of the troop were such a blessing to us then and still continue to be some of our closest friends now," said Susan. "I can not express how this troop has changed our lives." 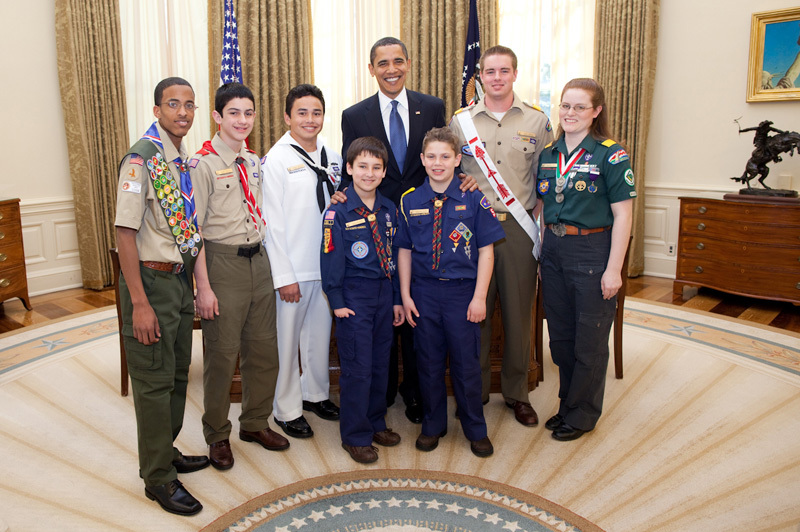 For nearly a century, the Boy Scouts of America has helped build the future leaders of this country by combining educational activities and lifelong values with fun. Their program builds character and trains young people to be conscientious, responsible, and productive members of society. The 62 members of Susan’s troop are involved in community service throughout the year including serving at a soup kitchen, picking potatoes for a food pantry and clearing fire hydrants in the winter. Camping is an integral part of Boy Scout activities and Susan says their troop’s tents are leaking badly so they only camp when it doesn’t rain. She will be purchasing 15 tents and 30 tent stakes. 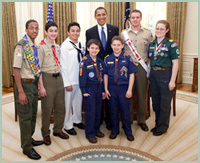 Boy Scouts of America was founded in 1910. There are over 31 million registered Scouts in over 200 countries around the world. Some well-known Scouts are Neil Armstrong, Sam Walton, Steven Spielberg, Hank Aaron, Paul McCartney, Bill Gates, Gerald Ford, Bill Clinton, George W. Bush, and John F. Kennedy. "Here's a picture of some of the boys with one of the tents. Unfortunately, they had to set it up inside because we got over 1 1/2 inches of rain yesterday. We are sure having a lot of weather up here this year and all of it bad! Some of the boys will be camping out next weekend rain or shine and I will have them take some more pictures. Thanks again, Sue"
"We for sure haven't had them (the tents) outside yet. We had a blizzard again here on April 30 thru May 1st. That's 9 months of snow this last winter! Even for North Dakota, that's bad." Susan, and her husband Mike, didn't waste any time ordering the tents. They were purchased from a company called ScoutDirect which offers camping gear and equipment at 45% off retail to Scouts and Scouting Organizations. The surprise phone call to Susan has been in the works for a few weeks and I was pretty sure she'd somehow find out with so much advance time. But Susan's husband, Mike, who was in on the surprise, wrote today to say thank you and that the highlight of his day yesterday was the look on Sue's face and her reaction. "I have been working on surprising that woman for 22 years and I finally did it!" he said. "Mike, the Scoutmaster, and I have been keeping this a secret from everybody. There were a hundred scenarios going on in my head on how Sue was going to find out. It was truly a night to remember. I am so proud of her for doing this. I am also proud of you for being so generous. It is just a great." Mike said they would send pictures of the new tents. 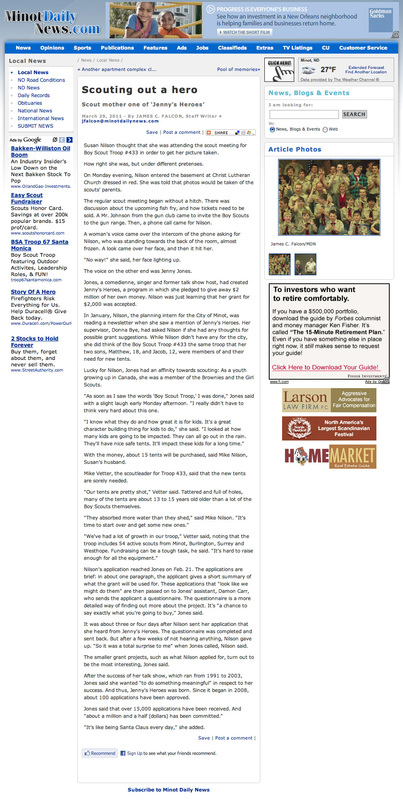 He also said that after my phone call, they all celebrated with "a couple buckets of ice cream." Great fun! P.S. Susan also wrote in to say, "I have to tell you, this is the first time in our 22 year marriage that my husband was able to surprise me. He is thrilled about the tents but I think his greatest reward was that he was able to slip something by me. So that was so much fun." Susan, I could hear his joy and love for you over the phone. It sounds like you landed a good man! I heard the biggest round of applause when I called in to surprise Susan with the news of her grant. There were 75 or so people gathered at the Christ Lutheran Church where Susan thought they were just meeting to take some new photos. Scout Master Mike Vetter helped set up the whole event, which included Susan, her husband Mike, several volunteer leaders, and a whole lot of Scouts! 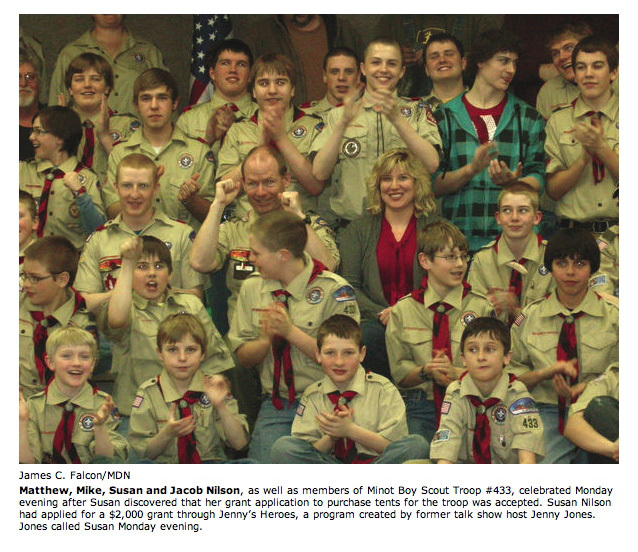 Susan's sons were there too: 18-year-old Matthew, an Eagle Scout, and 12-year-old Jacob, who still has a few rings to go. Her oldest, Emily, is as student at NDSU in Fargo. 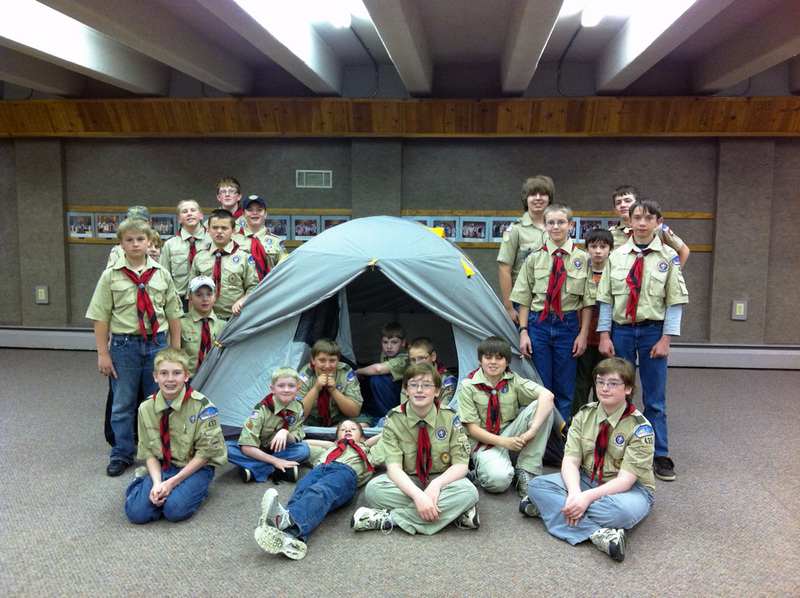 Spring is here so it won't be long before the troop goes camping in their new tents - rain or shine! 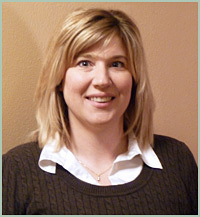 03/28/11: Jenny wrote... "Susan, as a former Canadian Brownie Scout, I’m happy to help provide leak-free tents for your son’s troop. Happy camping!" 03/28/11: Damon wrote... "Congratulations, Susan. 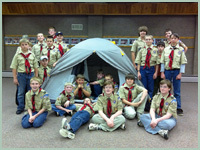 The Boys Scouts of Troop 433 are sure to stay dry and warm during their next campout."